Occasionally, on our extra busy weekends we need to stay late to finish our custom cakes. Late night cake decorating means that we’re working a 12-14 hr day. After that many hours of cake us decorators get a bit loopy and a little silly and sometimes quite insightful. Last weekend while making a figurine of Michelangelo’s ‘David’ for a Florence themed cake due the next day I had a thought. 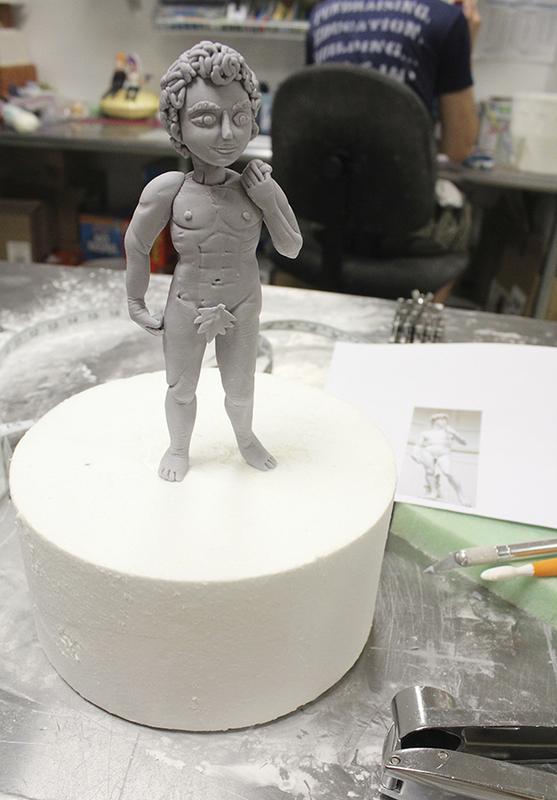 There is no way Michelangelo would have ever been able to conceive of artists in the future (that’s us) recreating his masterpiece sculpture using sugar to then be put onto a custom cake. I highly doubt that anyone in the early 1500s would have any comprehension of custom, sculpted cakes and sugar figurines. Then, my next deep thought. What sort of medium will future artists invent and use to recreate our art? It would be a medium that we can’t even comprehend, that we could never imagine (maybe edible, maybe not) and would use it to make simplified versions of our masterpieces that are used simply to entertain and perhaps even consume. Weird right? The above photo is a little weird if you don’t know how this guy fits into an actual cake design. 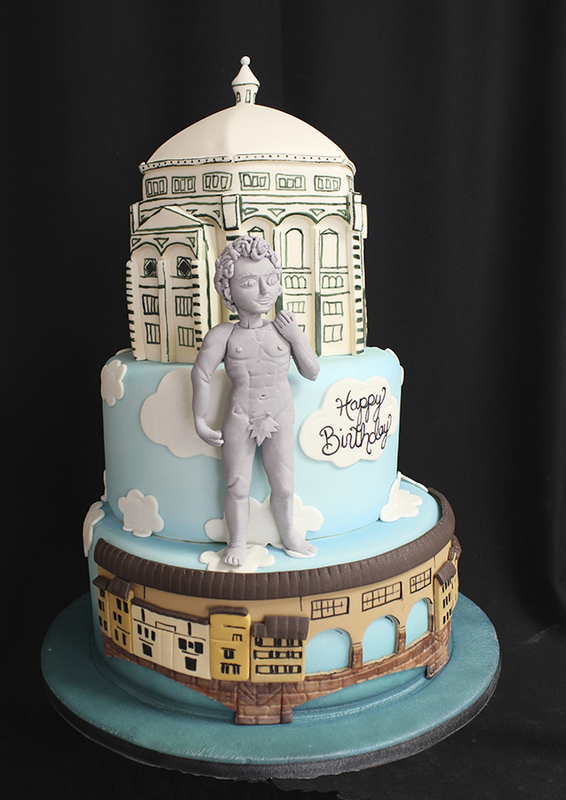 This is a cake ordered for a spouse who loves the city of Florence, Italy and all the art and architecture that it has to offer. Thus, the Florence cake: Duomo, David and Ponte Vecchio over the river.